I think that I have always liked Johnny Cash’s music, maybe more since the time I was less than a stone’s throw away from him at a Christian Booksellers Association (CBA) convention which he was at because he was the official spokesperson for the Franklin Electronic Bible, or maybe it was the release of the videos from the Holy Land-or the New Testament recordings; I don’t remember, it’s been a while! Any of these appearances, though, would have been because of his public Christian faith. Since Walk the Line was released on DVD, I returned to the Cash music I loved and even bought more. I knew that there was a Godly influence in the singer’s life, but I wasn’t aware of how much. Other than my hearing his music and seeing him at the CBA convention, I knew little about his life and like many others, pretty much accepted the Hollywood version-even being encouraged about he “church” scene when he finally got his life turned around with the help of June Carter. Clearly though, Hollywood doesn’t have Christianity’s interest in mind when producing their products. Neither do they have any concern about including God’s influence in the people’s lives they portray. Had they included the actual relationship which Johnny Cash had with the Savior, they would have lost revenue and unintentionally helped to spread the good news that even though people have ups and downs in their lives, God can still be active and working and bring about a life-change that makes a difference. This would be anathema for Hollywood executives. I came across a good article about how Hollywood dismissed Johnny Cash’s faith in God when they produced Walk the Line. I wanted to share it for two reasons: 1) It helped me to better understand how involved God was in Cash’s life, so it may give you new insight as well. 2) It is another illustration of why we should be wary of Hollywood’s work and not blindly take their portrayals as fact. I offer the article here without edit or comment, maintaining the links (I only leave out the internal ads). I imported the whole article instead of linking to it because of some of the ads at the site I don’t want to be responsible for leading you to, but full credit for the following article goes to National Review Online and the author Lee Habeeb (vice-president of content at Salem Radio Network). It’s an early scene in the 2005 Johnny Cash biopic,Walk the Line. 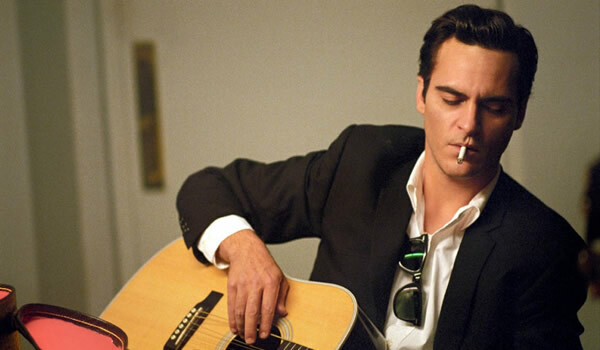 The young Cash, played by Joaquin Phoenix, is auditioning for the man who might make him the next Elvis Presley. That man was Sam Phillips, the Sun Records impresario from Memphis. The fictional Cash walks into the room and begins playing a Gospel song. The fictional Phillips is not impressed, and tells the fictional Cash that no one listens to Gospel anymore, and that he should play something more meaningful. More relevant. Cash did. The rest was history. Well, not quite. 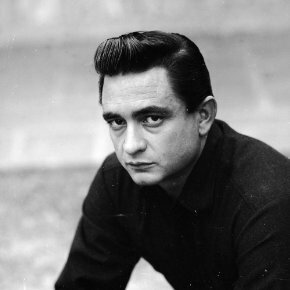 It turns out that Cash, who was born on February 26, 1932, didn’t stop playing Gospel music at all. Nearly a quarter of the songs he wrote were in some way about his faith or the Bible, and many others were influenced by his Christian worldview. But there wasn’t a single Gospel song on the Walk the Line soundtrack. Somehow, the screenwriters left out that important dimension of his musical catalogue. And there wasn’t a single mention of the greatest love of Cash’s life: Jesus Christ. That’s a love story the screenwriters of Walk the Line just couldn’t wrap their minds around. Yes, he loved June, the love of his earthly life. But she too loved Jesus Christ, and no doubt Cash’s love for her had much to do with her love for Him. That fact too was omitted from the movie. Cash recorded the entire King James Version of the New Testament, performed at countless Billy Graham revivals, made a movie about the life of Jesus, and studied the Bible as much as most divinity-school Ph.Ds. Somehow, none of that made it to the screen during the movie’s 136-minute running time. The screenwriters left all of that out, and for reasons that are inexplicable. Leaving out Cash’s Christian faith from his life story is like leaving out half-naked 19-year-old girls from Hugh Hefner’s. It’s like telling the story of Jackie Robinson without ever mentioning race or segregation. The tension between the flesh and spirit, between things of this earth and things of heaven, animated all of Cash’s music. It’s what drew audiences to him generation after generation. Sin and redemption, good and evil, selfishness and love, and the struggles of living by a standard set not by man but by God — all were driving forces in Cash’s work and life. I keep a close watch on this heart of mine. I keep my eyes wide open all the time. I keep the ends out for the tie that binds. Because you’re mine, I walk the line. Cash wasn’t walking just any line. He was trying his best to walk a Christian line. Believers and non-believers alike know about such struggles. That’s what attracted so many people to Cash’s music: his humility and his empathy. He had no tolerance for the false piety of many Christians, and he respected people of all faiths. And those of no faith, such as his friend Kris Kristofferson: The two simply agreed to not talk about religion. Many great stories about Cash’s faith didn’t make it to the screen, but not because they were hard to find. Fans can find them in the remarkable biography by Steven Turner, The Man Called Cash. One story that should have made it into the movie took place during a low point in Cash’s life, in the 1990s, 30 miles west of Chattanooga in the Nickajack Cave, an underground warren that’s home to over 100,000 bats. According to Turner, Cash spent time there earlier in his life, hunting for treasures such as Indian arrowheads and items left behind by Confederate soldiers. But on this occasion, Cash had different plans. I just felt like I was at the end of the line. I was down there by myself and I got to feelin’ that I took so many pills that I’d done it, that I was gonna blow up or something. I hadn’t eaten in days, I hadn’t slept in days, and my mind wasn’t workin’ too good anyway. I couldn’t stand myself anymore. I wanted to get away from me. And if that meant dyin’, then okay. I took a flashlight with me, and I said, I’m goin’ to walk and crawl and climb into this cave until the light goes out, and then I’m gonna lie down. So I crawled in there with that flashlight until it burned out and I lay down to die. I was a mile in that cave. At least a mile. But I felt this great comfortin’ presence sayin’, “No, you’re not dyin’. I got things for you to do.” So I got up, found my way out. Cliffs, ledges, drop-offs. I don’t know how I got out, ’cept God got me out. That would have been quite a scene in Walk the Line. But it never made it to the screen. In August 1969, hundreds of thousands of young Americans gathered at Woodstock to watch Crosby, Stills, Nash, and Young, Creedence Clearwater Revival, Janis Joplin, Sly and the Family Stone, The Band, Jimi Hendrix, and others perform. It was a wet and wild affair as the counterculture asserted itself into the mainstream. Just two weeks later, Johnny Cash closed out his music-variety show on ABC with a Gospel song. It was a remarkable version of “Were You There (When They Crucified My Lord)?” Always, to the end, Cash was a countercultural figure. Always a rebel. Perhaps his most famous recordings were the ones he made in prisons, especially his two shows at Folsom Prison. Cash seemed at home there. He didn’t see himself as better than those men. He was just one of the guys, and understood the prisoners in ways they realized, without his ever saying anything. It didn’t hurt that he’d written some of his best songs from the point of view of condemned and convicted men. The inmates loved him for that. America loved him for that. “He doesn’t sing for the damned,” Bono once commented about Cash, “he sings with the damned.” That was the true mark of Cash’s Christian walk: the empathy he had for the men and women often overlooked in our society. Prisoners; the hardworking field workers in rural America; the down-and-out and downtrodden; those of us struggling with personal demons, the kind that rob from us the best parts of ourselves. Talk about a tough line Cash had to walk. But he tried to walk it. Cash was revered by artists of every genre, from hip-hop to rock. Springsteen and Bono, Snoop Dogg and Trent Reznor all admired the openly Evangelical southern man. And all because Cash transcended stereotypes, and transcended musical categories. He even transcended time, something few pop stars manage. His 2002 acoustic take on the Nine Inch Nails song about heroin addiction — “Hurt” — was about as courageous a recording as any ever made by a popular artist. Cash, who was 70, found an entire new generation of fans with that stark MTV video. Thus was the universal appeal of the man called Cash. And that is the universal appeal of a man called Christ. — Lee Habeeb is vice president of content at Salem Radio Network. ← Is There a Future for “Holiness”?